Where your health is your choice. This is a gentle, yet effective method used to realign your spine and retrain your nerves. Dr. Shelby does not use the “snap crackle pop” method. Instead, he uses an activator gun to target specific nerves in a concentrated, non-invasive manner. The therapy bed is an optional treatment that many patients choose to use to further enhance the effects of their chiropractic adjustment. You can lay back and relax on our soothing therapy bed. Soft gel ice packs soothe inflammation as rollers in the bed move along your spine to massage the muscles. This is a complementary and optional part of your adjustment. Often times, stress can take more of a physical toll than we realize. This can lead the muscles constricted and sore. During energy adjustment, focus is placed on the emotions behind certain muscle tension. 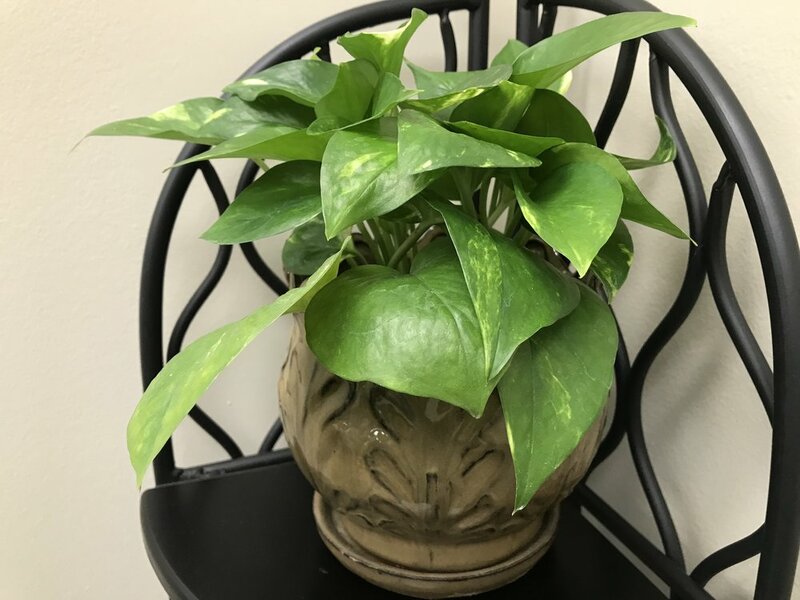 Our goal is to provide a relaxing and welcoming experience that leads to healing of the mind, body, and spirit. At Total Health Connection, your health is your choice. Here at Total Health Connection, we strive to provide our patients with the highest quality service. This starts with your comfort! 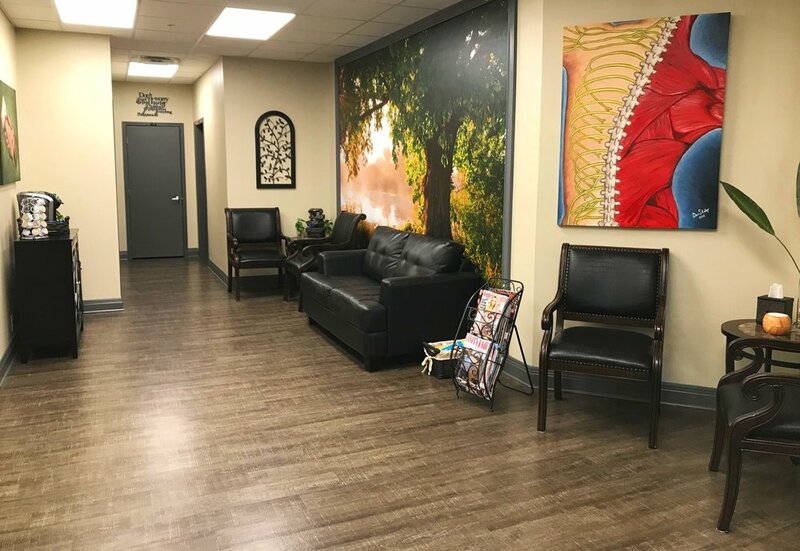 We welcome you to come and relax in our inviting waiting room - have some coffee, sip some tea, read a magazine, it’s up to you. 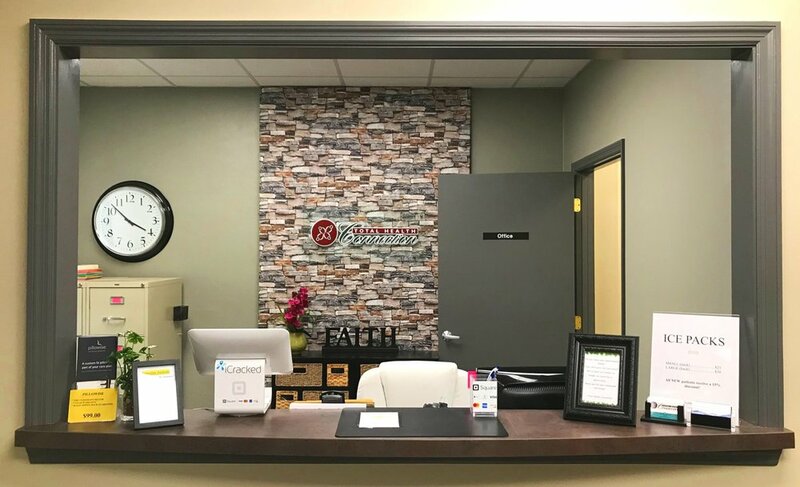 When you walk in you will be greeted by our welcoming office staff who is there to answer any questions you may have before beginning your consultation. 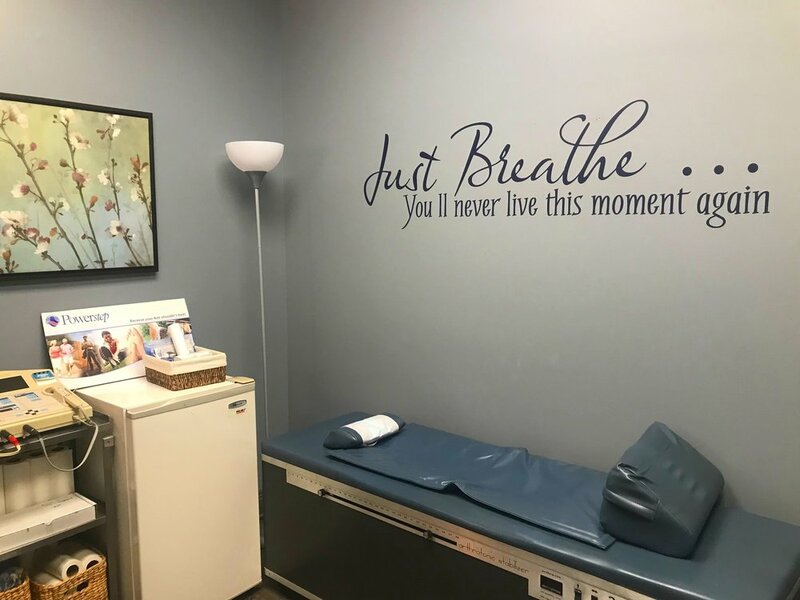 So come on in and let us help you leave feeling better than when you came. Because your peace is so important to us, we have copies of our patient intake forms available for you to fill out in the comfort of your own home. To download and print these forms, follow the link below. You will also find downloadable copies of the icing instructions and at-home stretches on the same page.